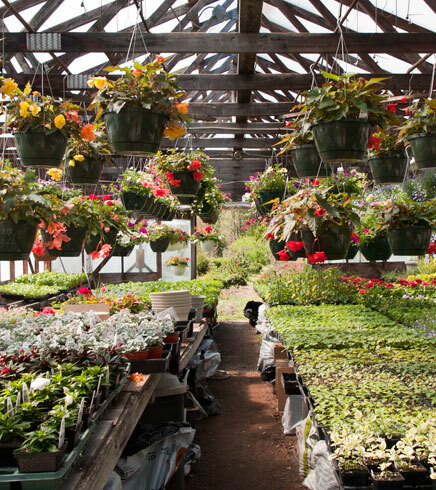 The greenhouses are at the heart of much of the growing that we do here at Cabot Greenhouse and Nursery. 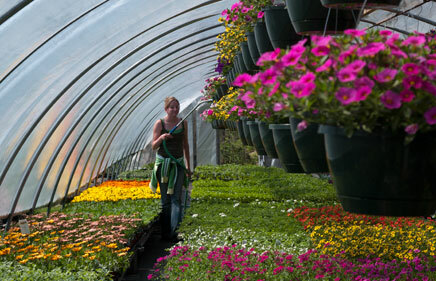 All of the flowering annuals are raised here along with the vegetable starts. 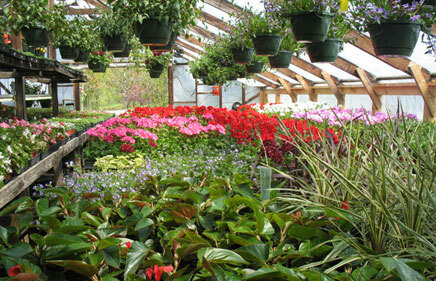 Propogation of many perennials start in the greenhouse. The grafting of conifers begin here and grow for the first few months in these greenhouses before they are planted in the field beds to grow on. 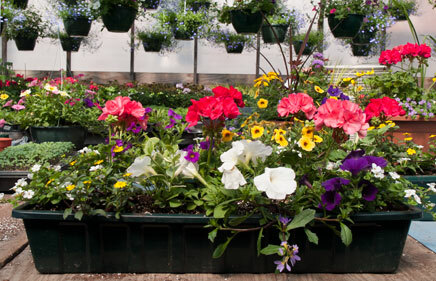 Our summer flowers and bedding plants are the big draw during the early months of spring and summer. The majority of the plants we now grow are vegetatively propogated and patented, such as the well recognized Proven Winners and other improved plant lines. Every year many new plants come on to the market making it impractical to include them all, but each year we offer a few new items to try. The beloved zonal geranium (strong upright growth, propogated from cuttings) has been hybridized with the ivy geranium (spreading form) to form a new breedof interspecific geranium combining the best properties of each type; very showy and increasingly popular with our customers. For many years we made our living growing vegetables. Though we no longer sell vegetables, we continue to grow vegetable starts that we consider to perform best in our region - trials from our own vegetable garden and those of our customers. These varieties have better resistance to diseases and fungi and will mature in our relatively short growing season. For example, we are offering tomato varieties with new genetics for better resistance to early and late blights. So in addition to the favorite older and heirloom varieties we offer every year, you will find a few new names that you may have read about and are eager to try. 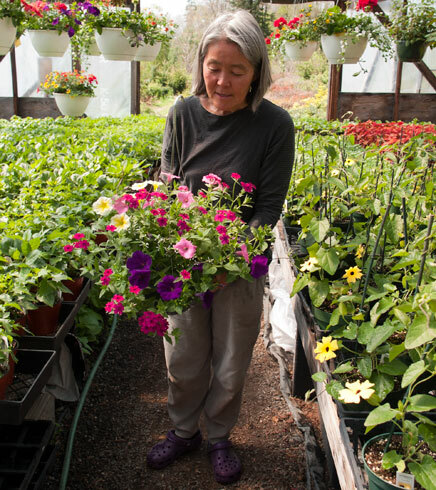 Along with tomatoes, peppers and eggplants, we offer strong selections of cole crops, cucurbits, herbs; the foundations of your vegetable garden.